Unlike the cost of a gallon of milk or a flat-screen television, a home’s price can be hard to pin down. It’s complicated because each home is unique, and has its own story to tell. When it comes to setting the price of a house, the only thing to do is to look at the recent sales and active listings of similar homes in your area. Combine this research with the inside market knowledge of a local real estate agent, and you can confidently choose your list price. Let’s face it, buyers prefer a tastefully home renovated home with neutral finishes and fixtures over an unrenovated home, one stuck in the ’80s, or one with outlandish decorations. When looking at comparable houses online, you must be objective. If your home isn’t updated, it’s not going to sell for as much. Here’s the good news: The amount of money it would cost to upgrade your house is probably a lot less than the difference in value. Be open to making some small changes before listing. The 2,000-square-foot, 3-bedroom, 2-bath home with two-car parking on a quarter acre down the street just closed for $500,000. That means your home — also a 2,000-square-foot, 3-bedroom, 2-bath house with two-car parking on a quarter acre — is also worth $500,000, right? Not so fast. What you don’t realize is that the other home’s three bedrooms are not all on the top floor, and that the home lacks an en-suite master bathroom, its kitchen is closed off from the living areas, and the layout is choppy. Buyers pay more for better floor plans and flow. Your home, with an open concept kitchen/living area and three bedrooms all near each other, is much more valuable. Understand that each comparable home requires some serious research before calling it a “comp.” A house down the block may seem like it’s the same location as yours, but it could be in a different school or tax district, which will affect its value. A smaller home may have sold for 20 percent more than yours, but maybe it was on a double lot that could be split, which makes it more valuable to a builder or developer. If you see a nearby home with a price that seems off the mark, there must be a reason. Dig deeper to uncover what it is, and realize that the home may not, in fact, be a comparable one. Rarely does anyone decide to sell overnight. Once you realize a sale is in your future, get out and see what’s in your market. Check out open houses nearby to see the interiors for yourself. Homes you see in January will likely be pending or closed by the time you list in April. Or they may still be on the market, which is an indication of poor pricing. Check out the different floor plans, finishes and fixtures of nearby homes for sale, and consider whether each is more or less valuable than yours. The best seller is the informed one. 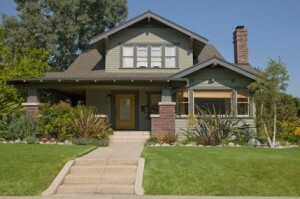 So don’t rely solely on your agent’s word about a particular house, or the market in general. The earlier you bring a local real estate agent into the fold, the better. Top agents tour properties regularly, and know their market inside and out. They can likely explain the seemingly inexplicable, and offer tips to help make your home more valuable. A good agent has the inside knowledge on pending homes sales and their finger on the pulse of the market 24/7. But remember to research independently, and never rely solely on the advice of your agent. Article originally published on Zillow.